Must have at least two years of full-service restaurant experience. $18 - $20 hour depending upon experience. Potential opportunities for advancement. Paid vacation. Bi-lingual preferred. Must be willing to work nights and weekends. _____________________________________________________________________________________________________________________ Please call 254-918-0900 or e-mail resume to mifamcatering@gmail.com. Experience working with clients who have a wide range of mental health disorders. Therapist will set their own hours and will need to be responsible for proper documentation in clients chart for billing purposes. Looking for someone to travel to surrounding counties with reimbursement for mileage and also work in our home base office in Stephenville, TX. Looking to start as soon as possible. 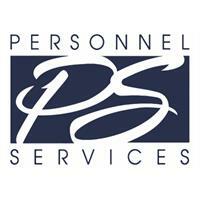 You will have an office staff that will be responsible for administrative duties.